Infrared photograph of a late opening flower on a leafy branch of Blackthorn (Prunus spinosa). 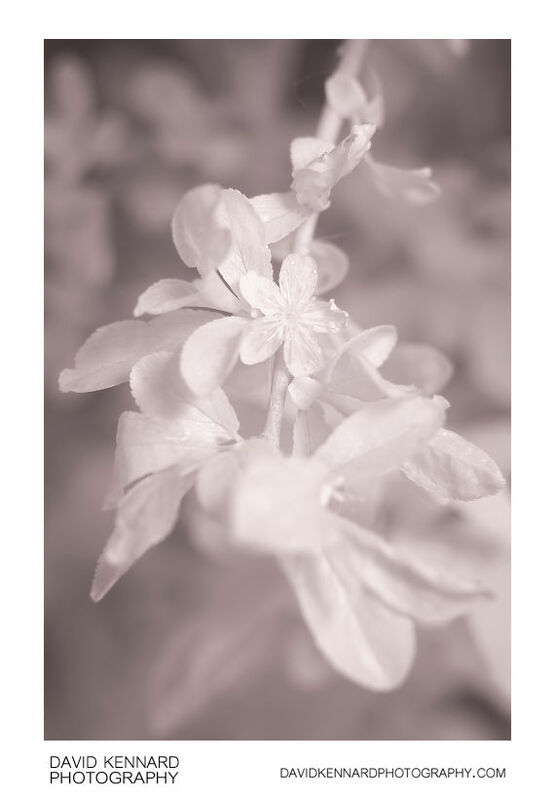 In infrared the plant's leaves appear much brighter than they do in visible light, rivalling the brightness of the flower. The anthers of the flower also appear brighter in infrared.